Sorry for the crickets yesterday… between Valentine’s Day and Brian’s and Olivia’s birthdays coming up next week, I’ve been a busy lady this week! Some of you may have seen me post a picture of Olivia at the ENT on Instagram earlier this week. She’s been having trouble with chronic ear infections, so our pediatrician referred us to an Ear, Nose, and Throat Specialist. 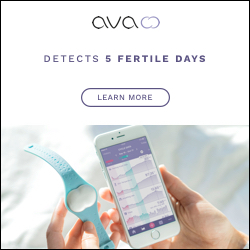 Unfortunately, he told us exactly what I didn’t want to hear – that Olivia is beyond overdue for tubes. Ugh. Jacob had tubes put in when he was a baby, so we know it’s not really a big deal – the procedure is very short, the babies generally do very well, and there’s really no recovery period because the procedure doesn’t cause any pain. While that’s all very reassuring, it still doesn’t change the fact that they’re going to have to put her under anesthesia, and that’s what makes me the most nervous. The procedure will take place the week after next, so please say a little prayer for her if you’re so inclined. 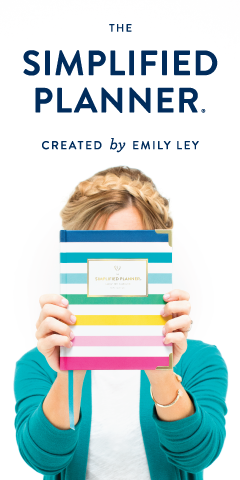 This week I thought that I would make my Five on Friday post a Friday Favorites post as well! Let’s get right to it! 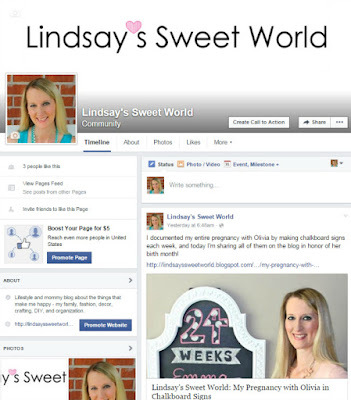 You guys, Lindsay’s Sweet World is finally on Facebook! I’ve been wanting to create a page for it since, well, almost a year ago when I first started blogging, but I’ve just never gotten around to it. It is finally live, so if you enjoy getting your blog updates from FB, I’ve got you covered. You can find it here. And speaking of progress, I’ve been tweaking a few things on the blog design this week because I’m itching for a few changes… nothing drastic, just a few tweaks to the header and sidebar. Unfortunately I’m no graphic designer so it’s been slow going. Hopefully I can implement the changes soon. I should probably just bite the bullet and pay someone to revamp it for me… it sure would save me a lot of time! 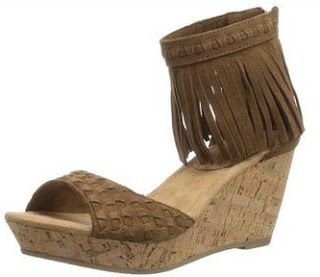 I received several Amazon gift cards for Christmas this past year, so I decided to treat myself to a new pair of brown wedges. I wanted some last summer and never found what I was looking for, but I stumbled upon this pair on Amazon this week and I knew that it was meant to be! They’re gorgeous, they’re comfy, and they fit like a dream! I could not be happier with these. Now all I need is some warm weather! 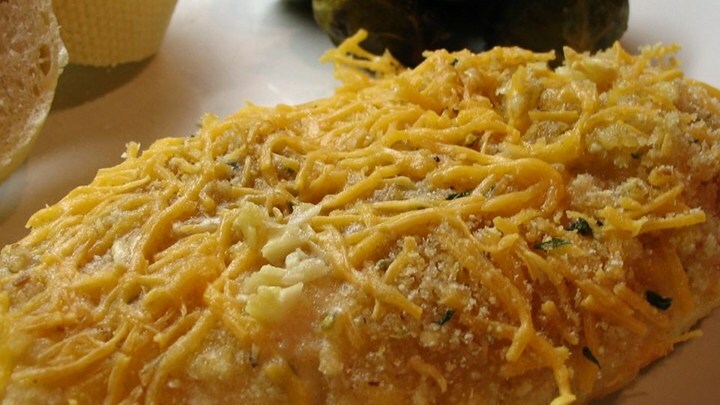 I’ve been in a cooking rut lately, so I’ve been looking for some new recipes to spice things up in the kitchen a little. 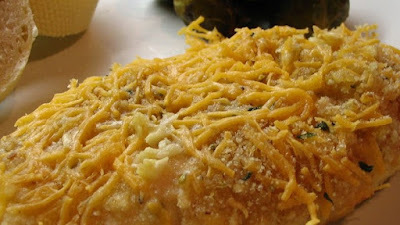 I found this recipe for Garlic Cheddar Chicken and cooked it earlier this week and it was so good. Hubs loved it, I loved it, and both kiddos loved it. That’s a very rare occurrence, my friends. Our kids have gotten very picky. During the week, I eat breakfast at my desk at work because I don’t have time to eat at home in the morning. I pretty much eat the same thing every day – one egg scrambled with a little bit of cheddar cheese, an apple or fresh fruit (strawberries, blueberries, grapes, raspberries, and blackberries), and a cup of Greek Yogurt. For the longest time I was eating the Yoplait Greek Yogurt Whips, which are delicious, but occasionally have a weird consistency, and I’ve recently grown tired of them. 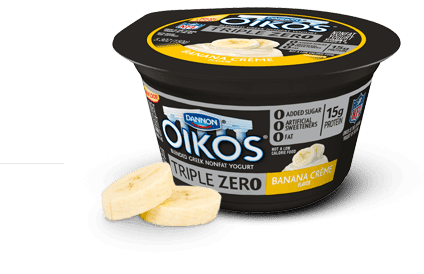 The other day the Oikos Triple Zero Greek Yogurt caught my eye because the containers are black so they stand out amazingly well in the yogurt section. Well done, Dannon marketing people. I was looking through the flavors and I saw that they have Banana Crème which literally made me jump for joy because banana anything is my favorite. Give me Banana Cheesecake over Chocolate Cheesecake any day. I was worried that I would be disappointed because some Greek Yogurts are just so chunky and gross (Chobani, I’m looking at you), but you guys, this is the best Greek yogurt evarrrr. It’s so smooth and so delicious… it’s almost like eating dessert for breakfast. The best part is that it has zero fat, zero added sugar, and zero artificial sweeteners, but it’s still good! I just don’t know how they do it. I feel like I should be getting paid to say this! Haha. They have several other flavors as well, but so far I haven't been able to pull myself away from my beloved banana. If I ever do, I'll be sure to update you. Reeeeally hard to narrow it down this week but I’m really digging The People v. O.J. Simpson... is anyone else having trouble seeing David Schwimmer as anyone other than Ross, though?! I just can't look past it. Lol. I hope you guys have a great weekend… we have something extra special planned for Saturday, so I can’t wait to share our weekend with you on Monday! 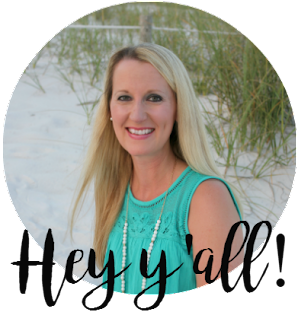 *Linking up with A. Liz Adventures for Five On Friday and A Little Bit of Everything for Friday Favorites. Happy Friday! 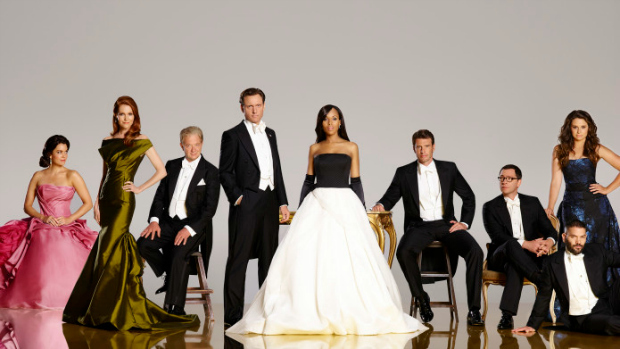 So glad Scandal is back, although I was a little bummed about last night's episode. It was a little underwhelming. Did I miss anything in the last 10 minutes? Those wedges are so cute and I love greek yogurt too so I need to check that one out! Thank you, Lizzie! I'm pretty bummed about it, but I know it's the best thing for her in the long run. Yay!! Found you on FB! I'm at The Glam Farmhouse! Have a great weekend! And sending happy thoughts your way for your little one! Thank you so much! And yay, I'll have to look you up! So sorry to hear about your daughter. It's so much better to have that procedure done when you are little. My sister had to have it done in her 30's and had she had it done when she was little, she may have avoided being very sick as an adult. Sending prayers your way. Sending prayers for a quick and easy surgery for Olivia. I have never had experience with tubes, but from what I hear it isn't too bad. She will be a rockstar! That chicken looks so good! And I love those wedges. So cute. Mmmm that recipe sounds delicious! I need to check out the People vs. OJ show! Thanks for recommending. So sorry to hear about Olivia. I'll be thinking of you guys and sending prayers. Also, I'll need to follow your FB page. I made that chicken before. SO good!